Vice-Chancellor, JNU As Vice-Chancellor, created several new schools and centres (1996-2002). 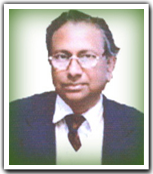 Awarded Shanti Swaroop Bhatnagar Prize in Biological Sciences by CSIR (1980); Fellow, Indian National Sciences Academy, New Delhi; Fellow, Indian Academy of Sciences, Bangalore; Fellow, National Science Academy, Allahabad; Fellow, Third World Academy of Sciences, Italy; Guha Memorial Award (1988); Sir Amulya Rattan Oration Award (1988); First GD Birla Award for Science and Technology (1991); Dr. Nitya Anand Endowment Award, INSA (1993); The Federation of Indian Chamber of Commerce and Industry Award for R&D in Life Sciences (1994); Om Bhasin Award for Science and Technology (1995); Third World Academy of Sciences Awards (TWAS) for Biology (1996); Goyal Prize in Life Sciences (1996); Ranbaxy Award in Medical Sciences (Basic Research) for the year 1996; D.M Bose Gold Medal, Indian Science News Association (1996); Government of India honored Professor Asis Datta with Padma Shree (1999); General President, Society of Biological Chemistry (2000); Indira Gandhi Priyadarshini Award (2000); R.D Birla Award for Biochemistry and Molecular Biology (2001); Dr. B. R. Ambedkar Centenary Award for Excellence in Biomedical Research, ICMR, Govt. of India (2003); General President of Indian Science Congress Association for 2003-2004; Bashambar Nath Chopra Lecture Award (2004); Life Time Achievement, Society of Biological Chemists (2005); P.C. Mahalanabish Memorial award, West Bengal, Science & Technology (2005); Sir Edward Melbary Oration award (2006); Degree of Doctor of Science (Honoris Causa) in 2002, 2004 and 2008 awarded by The University of Burdwan, Bidhan Chandra Agricultural University and Vidyasagar University, respectively for wide ranging contributions. Recognized Emeritus Professor of Jawaharlal Nehru University. Asutosh Mookerjee Medal Award at the 92nd Session of Indian Science Congress (2005); Life time achievement award, Indian Science Congress (2006). Awarded Padma Bhushan by Government of India (2008). President, The National Academy of Sciences, India (2009-2010). Life time achievement award, Biotech Research Society (2011). Priyadarshini Gold Medal award for outstanding achievements (2011). G.M. Modi Science award for innovative Science and Technology (2011). We are working in the area of molecular biology of pathogenic yeast using Candida albicans as a model system with an aim to understand the nature of virulent factors associated with the medically important yeast. Candida albicans, is the most pathogenic of Candida species. It is a serious agent of infection particularly in immuno compromised patients. The delicate balance between the host and the otherwise normally commensally fungus, turn into a parasitic relationship, resulting in the development of infection is called candidiasis. It is believed that for C. albicans to become invasive, a change from yeast to hypha is important. Yeast to hypha conversion occurs through an intermediate germ tube stage. The germ tube leads to hyphae formation. N-acetylglucosamine (GlcNAc) is utilized by the pathogenic strains of C. albicans. GlcNAc also induces change in cellular morphology in C. albicans. Morphogenetic changes like hyphae and pseudohyphal growth enables to propagate into the host tissue as a preliminary manifestation of invasion and spread of pathogens. To elucidate the role of GlcNAc in pathogen city, NAG1 has been cloned in our laboratory. GlcNAc transcriptionally induces NAG1. Sequence analysis of a 4 kb genomic clone containing NAG1 indicates that this gene is part of a cluster containing two other genes of the GlcNAc catabolic pathway: DAC1 (GlcNAc-6- phosphate deacetylase) and HXK1 (GlcNAc kinase). Clusters of functionally related genes are general features of prokaryotes and are less prevalent in eukaryotes. In E. coli the amino sugar pathway genes are also organized in clusters and possibly have a common regulatory mechanism. This is the first report of a gene cluster in Candida (Proc. Natl. Acad. Sci, USA 97: 14218-14223, 2000). Interestingly, attenuation of virulence occurs by disruption of this pathway (Infection and Immunity, 69 (12), 7898-7903, 2001). I. Nutritional improvement of crop plants by expressing a seed albumin gene from Amaranthus hypochondriacus. In our laboratory, we have been working on crop improvement program for last couple of years (Proc. Natl. Acad. Sci, USA107 (41): 17533-8, 2010). .In order to develop transgenic crop plants with high nutritional value, a seed albumin gene (AmA1) encoding for a protein of high lysine and sulfur containing amino acids from amaranth seeds has been cloned and sequenced. [Raina A and Datta A. Proc. Natl. Acad. Sci. USA 89:11774-11778, 1992]. Very recently, the AmA1 gene has been introduced into potato plants. The expression of AmA1 in transgenic plants, both constitutively and tuber-specifically, resulted in a significant increase in growth and tuber yield besides an increase in most essential amino acids. The transgenic tubers also contained more total protein as compared to control potato tubers (Proc. Natl. Acad. Sci. USA 97: 3724-3729, 2000]. Field trial of India's first GM crop (GM potato) with high nutritional value is now over in collaboration with the Central Potato Research Institute (CPRI). In addition, the technology in the industrial processing of animal feed supplement using yeast cells expressing AmA1 protein, has been transferred to Cadila Pharmaceuticals for commercial production. II. Expression of oxalate decarboxylase reduces the accumulation of oxalic acid in crop plants and confers fungal resistance. 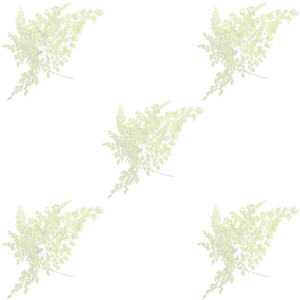 Some green leafy vegetables (e.g. amaranth, spinach, rhubarb) are rich sources of vitamins and minerals but they contain oxalic acid as a nutritional stress factor because oxalate chelates calcium and precipitation of calcium oxalate in kidney leads to hyperoxaluria and destruction of renal tissues. In addition, the production of oxalic acid is an important attacking mechanism utilized by several phytopathogenic fungi, e.g. Sclerotinia sclerotiorum, Sclerotinia rolfsii, and Sclerotinia ceptivorum. In order to develop transgenic plants with low oxalic content and making them resistant to fungal infection, a DNA (OXDC) encoding oxalate decarboxylase fromCollybia velutipes has been isolated and sequenced [Mehta A and Datta A. J. Biol. Chem.266: 23548-23553, 1991]. Very recently, oxalate-free transgenic tobacco and tomato plants have been developed which are resistant to phytopathogenic fungus Sclerotinia sclerotiorum (J. Biol. Chem.275: 7230-7238, 2000]. Oxalate- free GM tomatoes resistant to pathogenic fungus are currently under field trial. III. Enhanced self life in fruit by using novel genes which are involved in fruit ripening. IV. Expression a single gene leads to many benefits. Ganesan K, Banerjee A and Datta A (1991) Molecular Cloning of secretory acid proteinase Gene from Candida albicans and its use as a species specific probe. Infection and Immunity, USA, 59: 2972-2977. Natarajan K and Datta A (1993) Molecular cloning and analysis of the NAG1 cDNA coding for glucosamine-6-phosphate deaminase from Candida albicans. J. Biol. Chem. 268: 9206-9214. Polynucleotide sequence of fruit softening associated & beta-D-N-acetyhexosaminidase and its uses for enhancing fruit shelf life. (PCT/IN2009/000388). Published by WIPO on 14.01.2010 (Pub. No. WO/2010/004583) and the Indian patent office on 23.04.2010 (1648/DEL/2008). Extra-cellular matrix localized ferritin-1 for iron uptake, storage and stress tolerance (International application No. PCT/IN2007/000231).